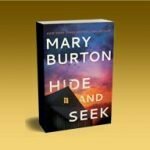 Mary Burton, whose latest novel is Hide and Seek , loves writing suspense, getting to know her characters, keeping up with law enforcement and forensic procedure, morning walks, baking, and tiny dachshunds. She also enjoys hunting down serial killers, which she does in her New York Times and USA Today bestselling novels. Library Journal has compared her work to that of Lisa Jackson and Lisa Gardner, and Fresh Fiction likened her writing to that of James Patterson. Mary is routinely featured among the top ten writers in Amazon’s Author Rankings for romantic suspense. Upon publication, her novels, including 2018’s Cut and Run and Her Last Word, consistently rank high on the Kindle eBooks Store Bestseller List. Additionally, Cut and Run has been nominated for the Romance Writers of America’s prestigious RITA Award for Romantic Suspense. Previous RITA recipients in this category include Nora Roberts, J.D. Robb, Tess Gerritsen, Karen Rose and Mary Jo Putney. The award will be announced at the RITA Award Ceremony July 26th in New York City during the organization’s annual conference. Research is a favorite part of Mary’s day. She never tires of delving into police work, evidence collection and analysis. 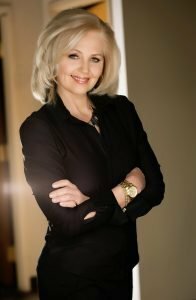 She’s known for taking a hands-on approach, whether it means interviews with professionals in the field, forensic seminars or lessons at the firing range. A Richmond native, Mary has lived there for most of her life. She’s a graduate of Virginia’s Hollins University and worked in marketing before she writing full time. Her first book was published in 2000. Today she’s the author of thirty-two published novels and five novellas. She’s also published five works of contemporary fiction as Mary Ellen Taylor, including 2018’s Winter Cottage. She’s co-editor, with novelist Mary Miley, of Deadly Southern Charm, A Lethal Ladies Mystery Anthology. A member of International Thriller Writers, Sisters in Crime, Mystery Writers of America, Novelists, Inc., and Romance Writers of America, Mary is known for creating multiple suspense stories connected by characters and/or place. When not on the road for research or visits with readers at bookstores, book festivals and conferences, Mary remains very much a homebody. She and her husband spend time alternately enjoying their empty nest and spoiling their four-legged babies Buddy, Bella and Tiki.